Portable and pratical, the ramp with dureable construction is aimed to provide great convenience for transferring. This briefcase style ramp is perfect for loading onto porches, curbs, landing, steps, or mini vans and the top of which is designed in serrated shape, to prevent anything slip off the ramp while transferring. The folding design makes it convenient for storage and portability. In addition, the angled lip with holes drilled on the surface ensures a more stable and safety space to keep the ramp in place. 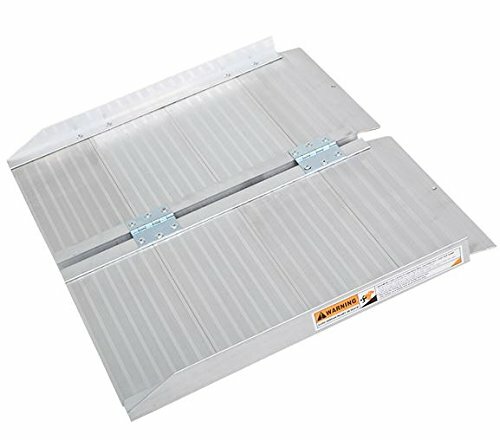 If you have the need for a sturdy ramp that can be folded up when not in use then look no further than this fine ramp. Folds: 24" x 15" x 2"